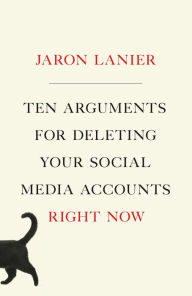 Jaron Lanier’s Ten Arguments for Deleting Your Social Media Accounts Right Now is fitting in the era of headlines being made by and on Twitter, Facebook, and other social media companies. Lanier is a Silicon Valley pro who has spent a long time working with technology and data; and yet, he does not use social media himself. In his declaration of grievances with Twitter, Facebook and the like, he offers ten reasons why we should cut the social media tethers immediately. Lanier compares one crux of our relationship with social media to that of an addiction -- the need to be liked, amplified, and followed by others. For some, that relationship has a reasonable balance, but for many others, it reaches an unhealthy level of dependence. Lanier’s arguments range all over the map and dive into things that are common complaints about social media (politics, internet mobs) to the more psychological (personality based) and even philosophical (free will) tenets. Each headline provides a legitimate source of ammo to uninstall those social media apps, but the supporting reasons are, at times, woven with political themes and biases. A few other points dive far into the technological and Silicon Valley weeds; this makes the book difficult to comprehend unless you have a pretty solid background in technology. The book is strong when Lanier lays out a six-point methodology on how social media companies can influence our behavior, often not for the better. 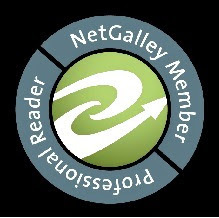 This author is not the only individual to argue against social media in our current times and is not the first with a technological background to do so. While his ten arguments are strong, the supporting evidence sometimes gets a bit too deep and unwieldy to provide a definitive case that could be amplified to the masses.